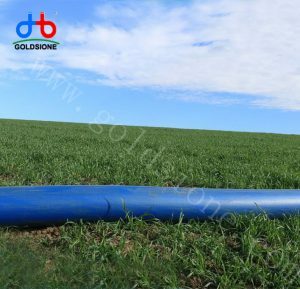 PVC lay flat hose is a good helper for farmers in industry, fire fighting, especially in agricultural production. PVC lay flat hose has strong tolerance, light weight and long use time. In order to avoid purchasing inferior PVC lay flat hose and affecting normal use, it is very important to master the identification method of the quality of PVC lay flat hose. PVC lay flat hose produced by polyvinyl chloride and high strength polyester yarn has strong compressive strength, good flexibility, bright color, smooth coating, and stronger resistance to high pressure and aging. When choosing PVC lay flat hose braiding layer, PVC lay flat hose braiding layer consists of warp and weft. The more warp and weft, the stronger breaking force, the higher pressure resistance, the better wear resistance and external damage resistance. In addition, PVC lay flat hose with twill should be selected, because the twill on PVC lay flat hose is equivalent to reinforcing rib, which has stronger compressive and tensile resistance and longer service life than the smooth PVC lay flat hose on both sides. With the development of technology, the quality of PVC lay flat hose is constantly improving. 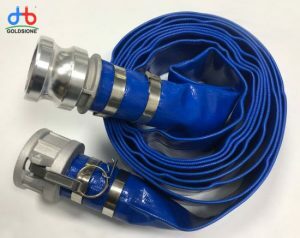 PVC lay flat hose plays an important role in fire fighting, agriculture and garden planting methods. Only by purchasing from regular manufacturers can the quality and use effect of PVC lay flat hose be guaranteed.